Companies will have to appoint named executives to be personally responsible for upholding duty of care, The Daily Telegraph reported. If they are found to be in breach of the rules, they could be banned from directorial roles for up to 15 years, in line with current disqualification rules. The NSPCC’s head of online child safety, Andy Burrows, said legislation was needed to keep children safe. “Unless we have regulation that is capable of protecting children in the way we know is necessary, then we will see further tragedies with children coming to harm,” he told the newspaper. A new class of treatments for women going through the menopause is able to reduce numbers of debilitating hot flushes by as much as three quarters in a matter of days, a trial has found. Research from Oxford University found that more than one million extra people suffering from mental health problems would benefit from being prescribed drugs and criticised “ideological” reasons doctors use to avoid doing so. The family of a teenager who died from flu has urged people not to delay going to A&E if they are worried about their symptoms. Melissa Whiteley, an 18-year-old engineering student from Hanford in Stoke-on-Trent, fell ill at Christmas and died in hospital a month later. The Government has pledged to review tens of thousands of cases where women have been given harmful vaginal mesh implants. The NHS will be asked to go further to prevent the deaths of patients in its care as part of a “zero suicide ambition” being launched today. Human trials have begun with a new cancer therapy that can prime the immune system to eradicate tumours. The treatment, that works similarly to a vaccine, is a combination of two existing drugs, of which tiny amounts are injected into the solid bulk of a tumour. Thousands of cervical cancer screening results are under review after failings at a laboratory meant some women were incorrectly given the all-clear. A number of women have already been told to contact their doctors following the identification of “procedural issues” in the service provided by Pathology First Laboratory. Most breast cancer patients do not die from their initial tumour, but from secondary malignant growths (metastases), where cancer cells are able to enter the blood and survive to invade new sites. Asparagine, a molecule named after asparagus where it was first identified in high quantities, has now been shown to be an essential ingredient for tumour cells to gain these migratory properties. A record number of nursing and midwifery positions are currently being advertised by the NHS, with more than 34,000 positions currently vacant, according to the latest data. Demand for nurses was 19 per cent higher between July and September 2017 than the same period two years ago. CBD has a broadly opposite effect to delta-9-tetrahydrocannabinol (THC), the main active component in cannabis and the substance that causes paranoia and anxiety. The paper found that there were 45,000 more deaths in the first four years of Tory-led efficiencies than would have been expected if funding had stayed at pre-election levels. On this trajectory that could rise to nearly 200,000 excess deaths by the end of 2020, even with the extra funding that has been earmarked for public sector services this year. Tobacco and alcohol companies could win more easily in court cases such as the recent battle over plain cigarette packaging if the EU Charter of Fundamental Rights is abandoned, a barrister and public health professor have said. New research has found that babies born to fathers under the age of 25 or over 51 are at higher risk of developing autism and other social disorders. The study, conducted by the Seaver Autism Center for Research and Treatment at Mount Sinai, found that these children are actually more advanced than their peers as infants, but then fall behind by the time they hit their teenage years. Commuters who swap their car or bus pass for a bike could cut their risk of developing heart disease and cancer by almost half, new research suggests – but campaigners have warned there is still an “urgent need” to improve road conditions for cyclists. Cycling to work is linked to a lower risk of developing cancer by 45 per cent and cardiovascular disease by 46 per cent, according to a study of a quarter of a million people. Walking to work also brought health benefits, the University of Glasgow researchers found, but not to the same degree as cycling. Vaping has been given an emphatic thumbs up by health experts after the first long-term study of its effects in ex-smokers. Millions of people are putting themselves at risk by cooking their rice incorrectly, scientists have warned. An injectable contraceptive gel that acts as a ‘reversible vasectomy’ is a step closer to being offered to men following successful trials on monkeys. Women who work at night or do irregular shifts may experience a decline in fertility, a new study has found. The Japanese government has announced measures to limit the amount of overtime employees can do – in an attempt to stop people literally working themselves to death. A fifth of Japan’s workforce are at risk of death by overwork, known as karoshi, as they work more than 80 hours of overtime each month, according to a government survey. It is well known that high blood pressure is a risk factor for dementia, so the results of a new study from the University of California, Irvine, are quite surprising. The researchers found that people who developed high blood pressure between the ages of 80-89 are less likely to develop Alzheimer’s disease (the most common form of dementia) over the next three years than people of the same age with normal blood pressure. Scientists in a new study show that the first signs of Parkinson’s can be stopped. The UCL study is still in its research period but the team are ‘excited’. Today’s Parkinson’s drugs manage the symptoms of the disease but ultimately do not stop its progression in the brain. A new study shows that drinking alcohol three to four days a week could reduce the risk of diabetes. Wine was found to be most effective in reducing the risk due to the chemical compounds that balance blood sugar levels. Last week, Instagram announced it would ban graphic images of self-harm from its platform after the father of a teenager who took her own life said the social network “helped kill my daughter”. Molly Russell died in 2017, at the age of 14. Her family found material relating to depression and suicide when they looked at her Instagram account after her death. Health Secretary Matt Hancock praised the photo-sharing service’s decision but said there was more to do to keep the site safe. 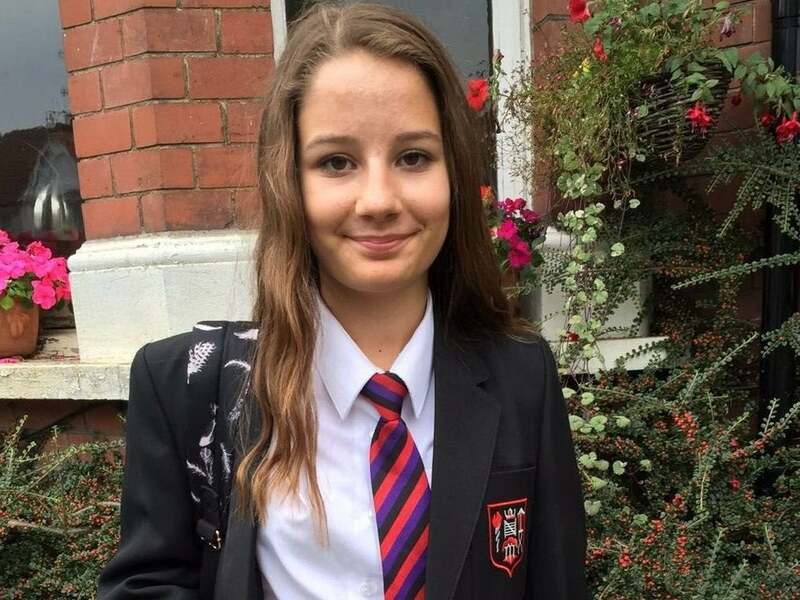 Speaking after a meeting with the app’s bosses last week, Mr Hancock said: “What happened to Molly Russell is every parent’s modern nightmare. I am glad Instagram have committed to me that they will now take down graphic self-harm and suicide content. I’ll keep working to make the internet safe for all.